We are glad to schedule an inspection and give you a quote for residential septic services in Auburndale, FL. If you are looking for residential septic services in the Auburndale, FL area, choosing Southeastern Septic LLC is a wise move. We offer full-service residential septic services to handle any and all of your septic needs, including septic tank installation, septic tank pumping, grease trap installation, drain field repair, drain cleaning, sump pump replacement, lift station pumps, and even real estate inspections. Our residential septic services fall under two categories: preventative maintenance and repair/replacement. You can minimize the latter of those two with a well-planned maintenance schedule. We can set up a schedule that makes sense for your location, family size, lifestyle and budget. For example, a larger household will usually need more frequent attention, especially if the septic tank is not the proper size to handle a typical load. As part of our preventative residential septic services, we take the time to provide education about steps you can take to preserve your septic system. This includes water usage and what you should and should not introduce to the septic system. 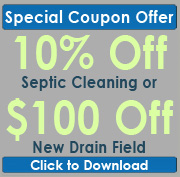 This is a valuable service, particularly if you are moving into a home that has a septic system and you have never before dealt with this. If you are in the need for residential septic services or have questions about how to keep your septic system running smoothly, give us a call. We’ll be glad to schedule an inspection and give you a quote for services. We also offer 24/7 emergency service, should you be having a serious problem with your septic system. Southeastern Septic offers professional Residential Septic Services in Auburndale, Lakeland, Zephyrhills, Mulberry, Bartow, Polk City, Winter Haven, Plant City, and Polk County.